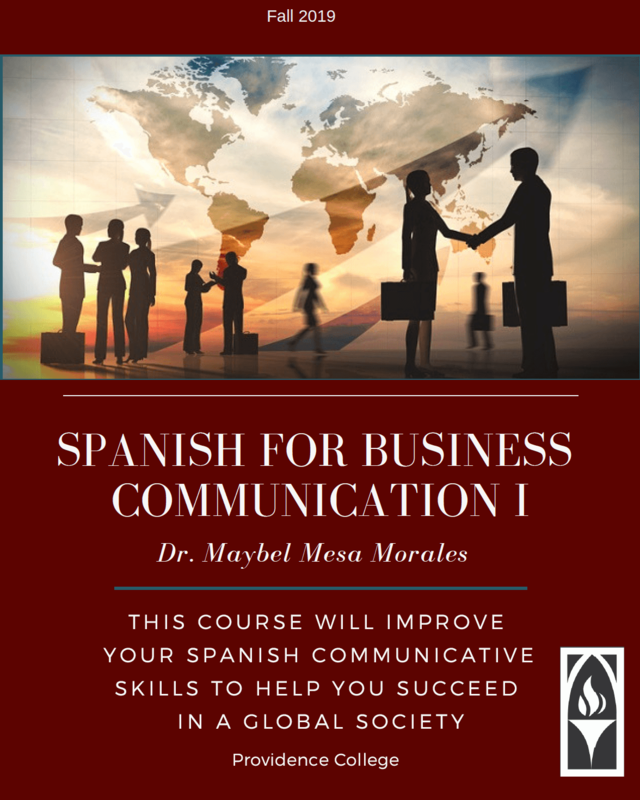 The Department of Foreign Language Studies is pleased to announce that Spanish for Business Communication I (SPN 105), will be offered in the fall of 2019. 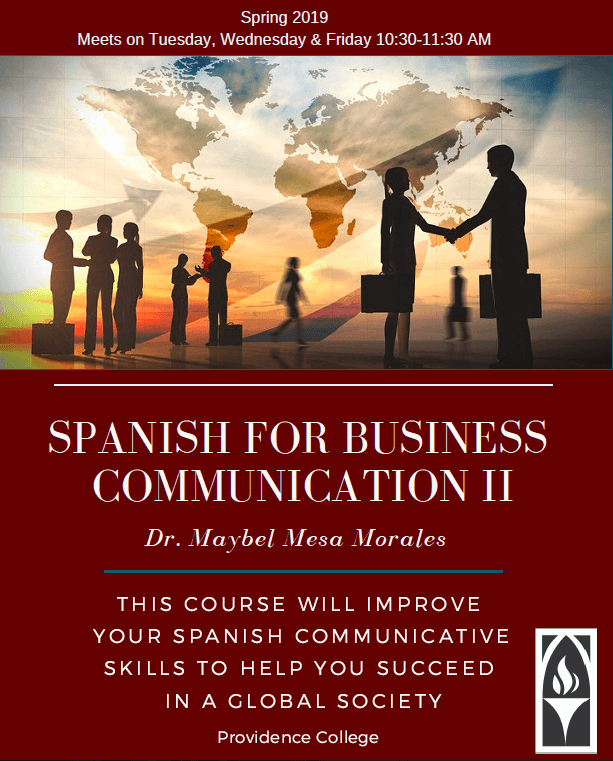 Spanish for Business I and II are a sequence of intermediate level language courses specifically designed for students in the School of Business who wish to include foreign language/cultural competency in a professional context as they prepare for a career in one of the business fields. In order to prepare students of Business to compete and succeed in a globalized world, effective communication is key. Graduates who demonstrate foreign language and cultural competency have a clear advantage in the 21st century, since monolingualism limits possibilities for young professionals. SPN 105-106 are intended for students directed to an intermediate level language course upon completion of the Language Placement Test. These courses accomplish the American Council of Teaching of Foreign Languages (ACTFL) standards with a special focus on the usage of vocabulary pertinent to business-related situations. Grammar, oral communication, special tasks, and assignments are intended to make students more confident with the language and acquire the necessary knowledge to interact with native speakers. Since professional success does not rely on linguistic proficiency alone but requires in-depth understanding of often non-verbal cultural nuances and codes, the linguistic and the cultural are interwoven in these courses. 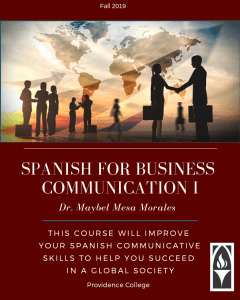 Assignments and activities are designed to simulate real business situations and to develop an awareness of the socio-economic, political, and cultural dimensions particular to the regions where Spanish is the primary language. Since SPN 105/106 are intermediate level courses, they are similar enough in content with current course offerings, SPN 103/104 that students will not be allowed to take both sequences for credit.